We all know how it feels to hit the mid-afternoon slump—that moment you’d practically give up a limb to get just a few minutes of shut-eye to help you power through the rest of your day. 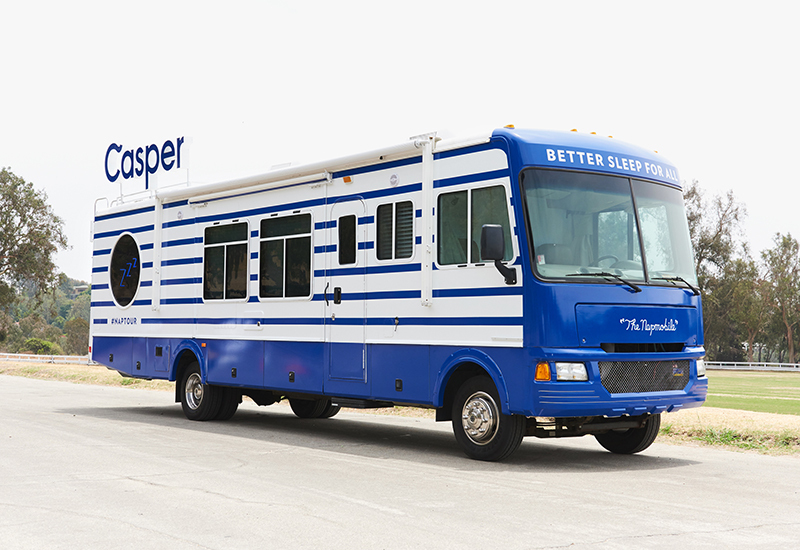 With that in mind, mattress startup Casper is making dreams come true with its 15-city mobile Nap Tour. Armed with two trusty “Napmobiles,” each equipped with four napping pods, the brand is making its way across the U.S. offering consumers a chance to nod off while testing out its products. 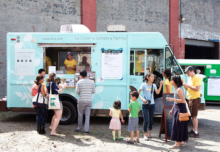 The Nap Tour initially launched with one Napmobile in the fall of 2015, but after a winter break, Casper in June added a second vehicle and kicked off the second leg of the tour, which wraps Sept. 25 in Brooklyn, NY. Targeting busy urban zones that also demonstrate a high level of social media engagement with the brand, Casper is offering anyone in those areas a chance to grab a few Z’s. 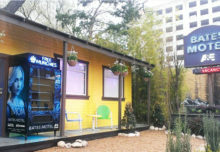 Participants can register for a nap time slot in 15-minute increments online at casper.com/naptour or walk in at their leisure and sleep for as long as they like (the record thus far is two hours). Inside each of the vehicles’ nap pods, consumers are encouraged to snuggle up with the brand’s signature mattress (it only makes one) as well as its sheets and pillows. Taking cues from Japanese pod hotels, the brand provides a soothing bedroom environment, complete with warm, ambient lighting, privacy blinds and the ability to control the space’s temperature. Nappers can also opt to pick up a bedside phone and listen to a classic bedtime story like The Princess and the Pea or Goldilocks and the Three Bears (nice touch). Making stops across the country, Casper has had ample opportunity for content capture, and its top-notch brand ambassadors are making it happen. Ambassadors are not hired staff, but actual Casper employees who the brand felt would be the best fit to impart knowledge and passion upon consumers. 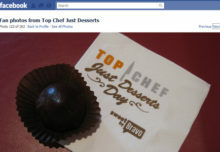 The crew is using various social channels to share content that illustrates life on the road and what each city has to offer. And with Casper racking up more than 10,000 individual snoozes since the inception of the Nap Tour, it looks like it’s working. “We strongly believe that giving consumers the opportunity to engage with our brand in a physical space is really important,” says Monica Brouwer, director-experiential marketing at Casper. “Event marketing programs like the Nap Tour, and experiential marketing in general, is really important to Casper because we’re really interested in picking up where our digital conversations leave off, and connecting with consumers and really blurring the lines between our social media following and our actual communities on the ground. The Nap Tour is a platform that enables us to do that.” Agency: MKG, New York City. 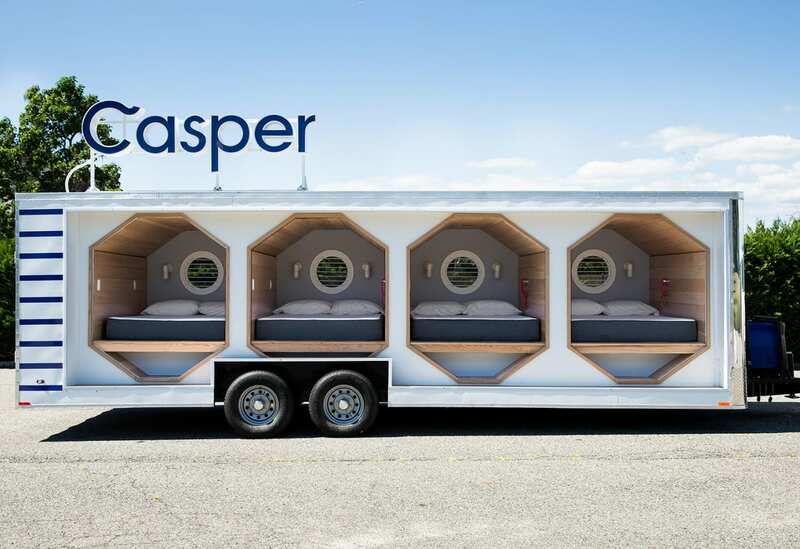 Armed with two trusty “Napmobiles,” each equipped with four napping pods, Casper is offering consumers a chance to nod off while testing out its products. 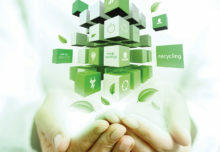 What Happened to ‘Going Green’ in Events?